Though it has some growing to do, iHome + Alexa make for an impressive couple. You probably know iHome as a longtime provider of iPod docks and radios. Now you can add Alexa purveyor to its job description, thanks to the launch of the iHome iAVS16B. The iHome iAVS16B is, like many an iHome product, first an alarm clock and speaker combo, and it’s hardly what you’d call understated. This is a solid brick that lives on your bedside table, but stands as a daunting monolith that weighs more than 2.5 pounds. The clock is fully internet-connected, so in addition to, you know, telling the time, it includes a live weather readout, plus an integrated connection to internet radio services, including iHeartRadio and Spotify. 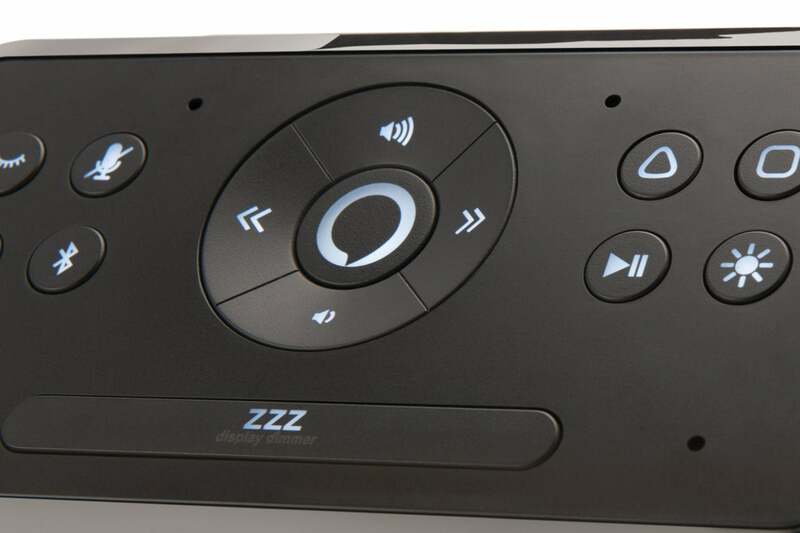 It’s equipped with Bluetooth for both music and phone calls (and a USB port for charging your phone), so you can use it as a speakerphone or to stream any other audio on your mobile device. And because it supports HomeKit, it can also access your iTunes library from any HomeKit-connected device. Bottom line: You won’t go hurting for music content with the iAVS16B. The iAVS16B top panel is complex and crowded, and its lights are far too bright at night. As mentioned, the iAVS16B is also equipped with Alexa and a far-field microphone, so the device works just like any other Alexa-capable product (with the exception of Alexa-based voice calling features, which are exclusive to Amazon’s devices). You can ask the iAVS16B to play trivia games just like you would an Echo, or use it to control your smart home devices. The only real difference is that, instead of the Amazon-blue light on top, the iAVS16B’s Alexa indicator light illuminates the underside of the radio, and it can be color-tuned in several mildly entertaining ways. The system works well. The clock is quick to set up, and its Alexa features worked flawlessly in my testing, letting me do anything I would otherwise do with standard Echo devices in the house. The speaker is incredibly powerful—at maximum volume it was painfully loud and far beyond what my bedroom could accommodate—and the audio quality over Bluetooth or via Alexa’s services was crisp and clean. As a speaker, I had no complaints at all. The iHome AVS app gives you simple access to key options. Buttons on the top of the device give you extra features, including one that lets you turn off the microphone if you have privacy concerns. A pair of “smart buttons” can be user-configured, though the implementation here is a bit undercooked. The smart buttons can each perform up to three actions simultaneously: Play a selected audio program, set the color of the underside lighting, and/or activate an iHome SmartPlug. 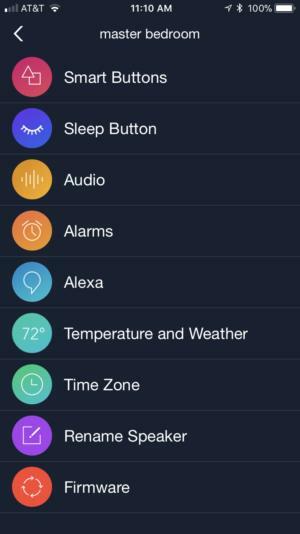 The lattermost of those is key to understand if you’re considering the device: You can control iHome’s own smart outlets with these buttons, but you can’t control any non-iHome devices on your network, even if they’re connected to Alexa or HomeKit. You can set the buttons to do different things whether you perform a short press or a long press of the button, and you’ll need to if you use them with SmartPlugs because button presses don’t work like a toggle: In other words, you must perform a short press to turn the plug on, a long press to turn it off. Furthermore, pushing one button can cancel the other button’s function. If you use the triangle button to play audio, then press the square button to turn on a SmartPlug, it will stop the audio track playing. 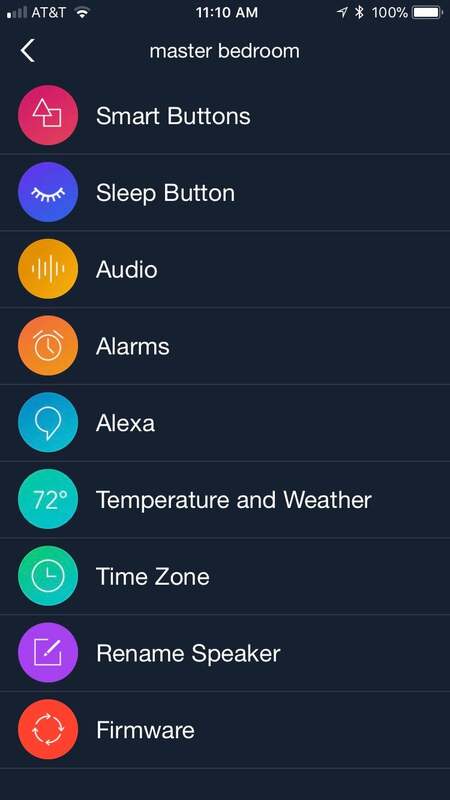 All of this is configured via the iHome AVS mobile app, a simple system that gives you complete control over the fine-tuning of the device. My only other complaint with the device is how incredibly bright it is. The default brightness of the indicator lights—of which there are many, both on the front and on the top of the device—is much too vivid for use at nighttime. While you can dim them down with the snooze button, which does double-duty as a dimmer, even on the lowest level that doesn’t turn the lights and the clock all the way off, it’s too bright for sleeping. I have solved this problem, imperfectly, by placing a book on top of the unit while praying nightly for a firmware update. 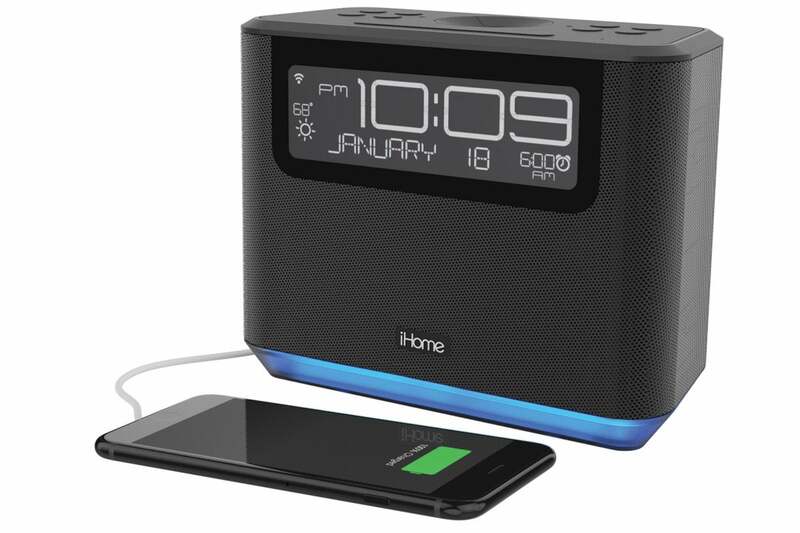 iHome’s smart home features aren’t up to snuff, but as an audio device, this clock radio really shines.